The visit to Brazil, a result of the strong cooperation formed between Access Israel and the Israeli Foreign Ministry, proved once again that integration, accessibility and inclusion go beyond differences in language, culture and politics. Imagine dozens of smiling kids experiencing accessibility and learning about how they too can help improve inclusion and integration of people with disabilities into society – all with smiles on their faces. Access Israel’s innovative projects all aim to improve the quality of life for the elderly and for people with disabilities in Israel, along with their families and friends. They empower, enable and create real change in their lives, making it possible for them to be more independent, enjoy equal opportunities and to work, learn, have fun, tour and shop, just like everyone else. These inspiring activities all started 17 years ago by Lieutenant Colonel Yuval Wagner, the founder of Access Israel. For Wagner, an Israeli Air Force combat pilot who was injured in a helicopter crash that left him a quadriplegic confined to a wheelchair, life has never been ordinary. He has seen and experienced the life of the disabled from every possible angle: as a child, he was the son of a father in a wheelchair; as a young man, he became disabled himself after his injury; and as an adult, he is a disabled father of three children. “It was then – when I became a father – that I realized that being disabled or elderly in Israel is simply impossible,” asserts Wagner. In 1999, he founded Access Israel to make Israel an accessible, inclusive country for the 1.6 million Israelis with disabilities and 900,000 elderly people living in Israel. Over the years, Access Israel succeeded in advancing the topic of accessibility and giving a voice to the country’s disabled population. Its activities include promoting legislation, raising awareness, providing consulting services, advocating for the employment of workers with disabilities, developing accessible recreation areas, advancing accessible technology and running educational programs in schools, as well as an informative website, an accessibility complaint center and professional accessibility training for service providers. Access Israel is known for its unique, experiential and effective programs in which participants gain first-hand experiences with disabilities. The most efficient way to bring about the desired change is by exposing the community at large, including decision makers, to people with disabilities and their daily realities, challenges and accomplishments. These methods have been proven to successfully increase awareness about the importance of accessibility. During the past three years, Access Israel has participated in international conferences in Vienna, New York, Washington, DC and Ecuador. 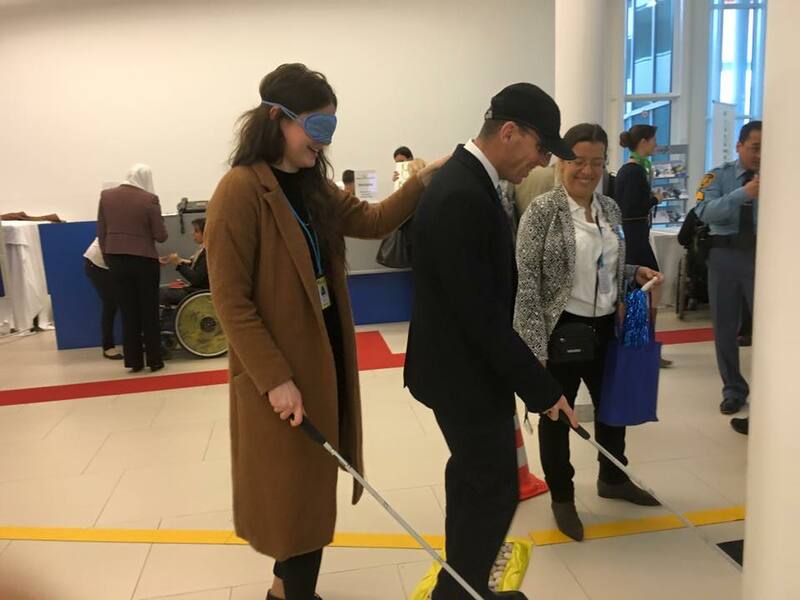 In addition, Access Israel has run its “Feast of the Senses and Accessibility” meal for diplomats, international media personnel, ambassadors, actors, policy makers and others – people from all around the world who have referred to this event as a real eye opener and an extremely powerful experience. 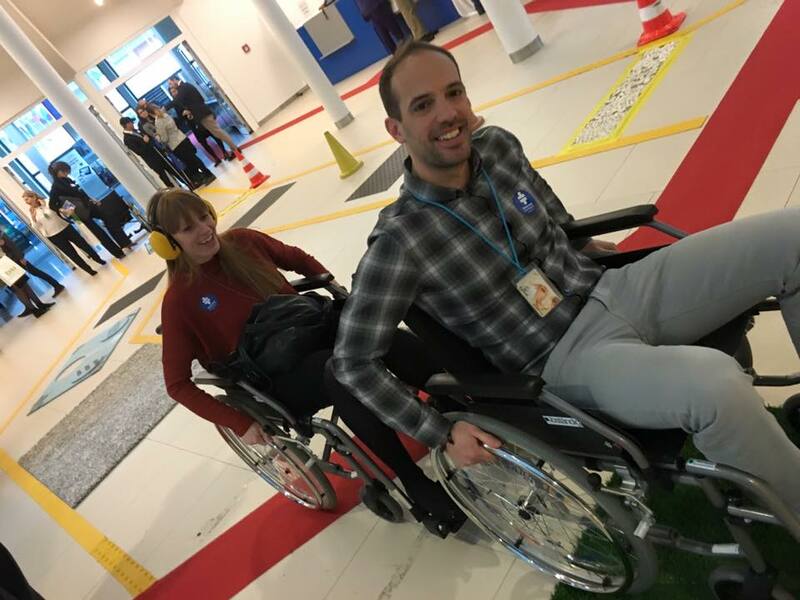 In addition, Access Israel has organized “Accessibility for All Trails” in Brazil, Austria, Ecuador and Israel, enabling participants to experience the challenges faced daily by people with disabilities and how accessibility improves their quality of life. Access Israel projects have received global awards and prizes. Following its international exposure, Access Israel was granted the status of special adviser to UN-ECOSOC. Access Israel has taken it upon itself to lead globally in promoting the idea of accessibility for all in the digital era, and has made it its mission to assure that all future technologies will be accessible to people with disabilities, the elderly and others. The organization is helping to position Israel not only as a “Start Up Nation” but also as an “accessibility inclusive technology nation” – making sure that the digital era in Israel will be accessible and inclusive for all.